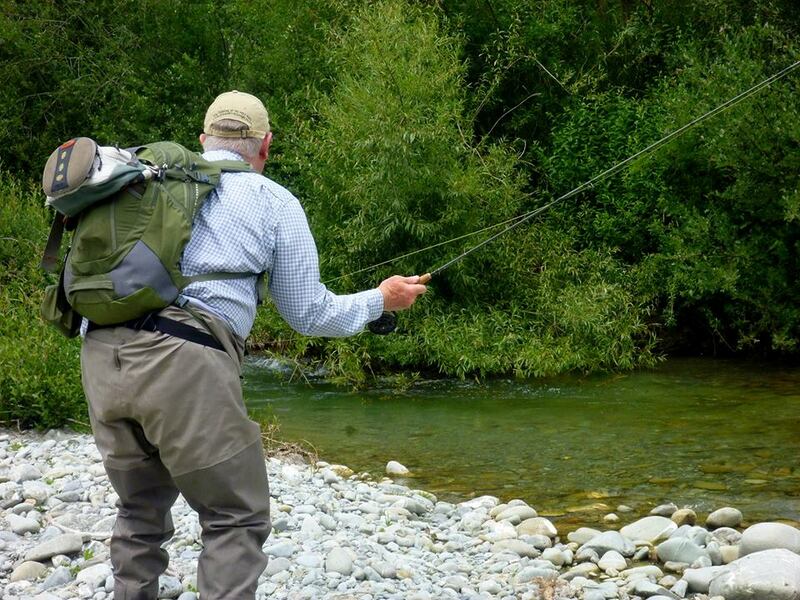 Fly Fishing Southland offers the ultimate trout fishing experience into some of the best fishing spots in Southland and Queenstown. Book with us Now! Southland is the most southern province in New Zealand, and is one of the most important agricultural and pastoral regions in the country, as well as being famous for its trout fishing! With New Zealand being a narrow Island our climate is very much dictated by the surrounding seas therefore very changeable, it is possible to experience 4 season in one day in the Southland region. From gin clear mountain streams and peaceful meandering creeks to the larger river networks flowing through the fertile Southland plains the Southland region has it all! Whilst many rivers do not carry the larger numbers of fish found in many US waterways, the opportunity to stalk and cast to a sighted 3-6lb+ well conditioned fish is an awesome experience and one you will never forget. The wide variety of trout waters in the Southland ensures we are able to cater for each angler’s needs based on their experience, it also gives us some more options when weather conditions are not so favourable to move about and find sheltered /clear water if required. The Mataura river is the regions most famous river ,and is renowned for it's"match the hatch" dry fly fishing, and at certain times of the year provides world class fishing, with trout rising to well presented dry flies, cracking the code on these days is the name of the game! To be successful upon the Mataura, you must not only understand the insects on which the trout feeds, but how to effectively imitate the different stages and present them to well educated and selective trout. The key to fly fishing success here is both accuracy and presentation of your fly with the use of long fine leaders and tippet ,our trout generally do not tolerate sloppy casting and a first up cast to a sighted fish has to be your best, as it may be your only cast! The Southland region is one of the strongholds of brown trout in New Zealand. Regular summer rain means that the rivers and streams of the region usually flow strongly all through the fishing season. However this also means that rainfall can at times limit angling activities and anglers should have a good knowledge of the region so that lakes and spring creeks, which are not affected by flooding, can be fished. The Southland plains and hills offer a large number of easily accessible rivers and streams which cater for all types of angling. Most waters have easy access points, many of which are marked with Fish & Game signage.The Mataura is the best known Southland River. It flows through the town of Gore, “The Brown Trout Capital of the World ”. This reputation brings an ever increasing number of anglers into our province to fish this and other rivers like the Aparima and Oreti. While the headwaters of these rivers have reputations for producing big fish they are often very hard to catch and are less numerous. The lowland rivers are much more productive and accessible and, while their trout are smaller on average they can provide excellent angling, especially for family groups and those starting out on a fishing career. Rainbow trout are restricted to the western lakes and their tributaries,and the Mararoa and Waiau River system. Didymo, the invasive alga that smothers river beds, occurs in several Southland rivers, affecting the Mararoa and the Waiau the worst. Anglers need to carefully clean their gear between rivers because there are rivers where it hasn’t got to yet. The rivers of Fiordland are pristine and it is important that didymodoes not get introduced to these. Anglers fishing in these rivers must geta Clean Gear Certificate before fishing there. Details are on the Website www.fishandgame.org.nz and at the F&G office.The large lakes, Te Anau and Manapouri, and the smaller lakes Monowaiand North Mavora are ideal for trolling from a boat. While they don’thave large populations of trout compared to lakes farther north they are beautiful scenic gems where competent anglers can expect to catch several fish in a day’s fishing. In midsummer Southland ’s mid reach and easily accessible head water rivers can get quite crowded so it’s important that anglers are considerate of others and give them space to enjoy the trout fishing. Gore Bridge to the Gorge Road Bridge. 1 Oct – 31 May, excl.